Indoor Air Specialties is a local heating, ventilation and air conditioning (HVAC) company offering both residential and commercial services to the Corpus Christi area. This was a simple one-page website design with the primary purpose of establishing an online presence. I normally try to avoid one-page websites due to SEO (search engine optimization) concerns, however the client intends to rely primarily on Google and Facebook advertising to drive traffic to the website. 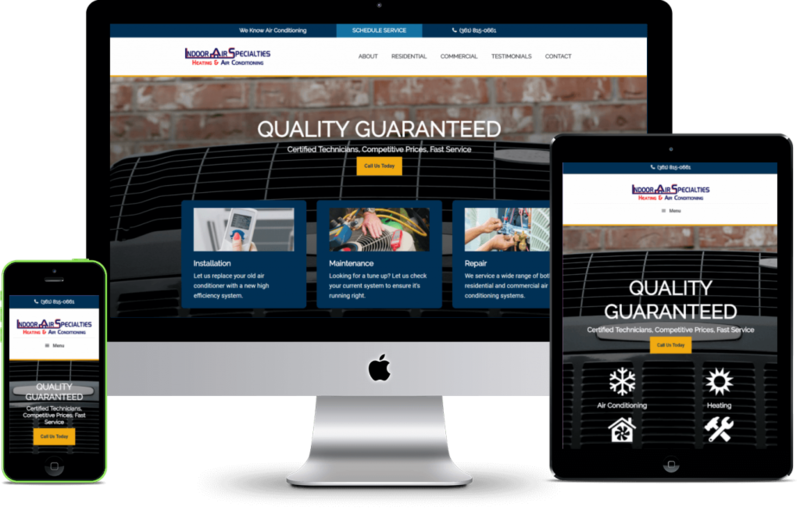 The website’s design features multiple calls to action and is mobile responsive. While only a one-page design, it can be easily expanded in the future.